The details of the complex operation are among the first to emerge from a rescue effort to save 12 boys. All 12 boys trapped in Tham Luang cave were rescued on Tuesday. "Some of them were asleep, some of them were wiggling their fingers... (as if) groggy, but they were breathing," Commander Chaiyananta Peeranarong said, adding that doctors stationed along the dark corridors of the Tham Luang cave were constantly checking their condition and pulse. "My job was to transfer them along," he said, adding the "boys were wrapped up in stretchers already when they were being transferred". The lack of information about the meticulously planned rescue had baffled observers given that the team were extracted safely. The members of the "Wild Boars" team, aged 11-16, had no experience in scuba diving, and the death of an ex-Navy SEAL who had helped install oxygen tanks in preparation for the rescue underscored the dangers of the mission. Thailand said it had called on 13 "world class" divers to help with the unprecedented job, one of whom was Australian Richard "Harry" Harris, a diver and professional anaesthetist. Rescue chief Narongsak Osottanakorn told reporters on Wednesday that the entire operation would not have been possible without the unique skills that Harris brought to the mission, though he did not elaborate. 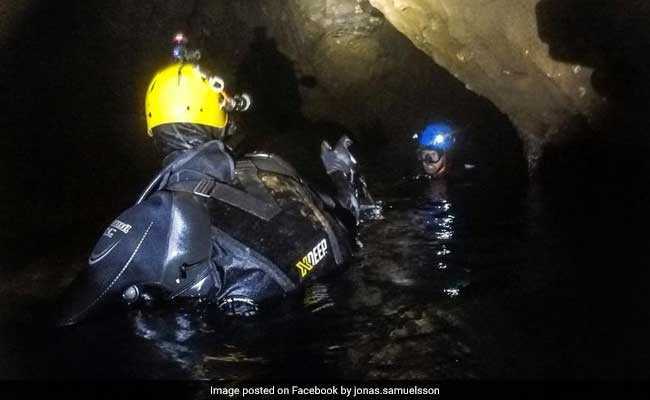 The international bid to extract the team garnered attention from around the world after the team found themselves trapped on June 23 when they entered the cave after practice and were blocked by floodwaters.